Jack George Cristall, 88, of Danville, Va., passed away Friday, October 12, 2018, at his residence. He was born October 17, 1929, in Martinsville, Va. to the late Voula Rekata Cristall and the late George D. Cristall. Mr. Cristall is survived by his wife Shirley Mills Cristall. He proudly served his country in the US Coast Guard. Mr. Cristall worked as a salesman. He was a member of the Greek Orthodox Church. 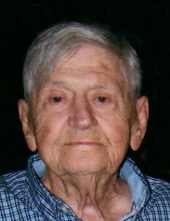 In addition to his wife, Mr. Cristall is survived by his daughter, Maria Cristall of Ridgeway, Va.; his son, Charles Cristall of Martinsville, Va.; his two stepchildren, Keith Pulley and Pam Curtis, both of Danville; as well as three step grandchildren and six step great-grandchildren. In addition to his parents, Mr. Cristall was predeceased by his brother, Jimmy Cristall. A memorial service will be held at 2 p.m. Tuesday, October 16, 2018, at Norris West End Chapel, with Father Samuel Gantt, Priest at St. Peter’s Greek Orthodox Church, Danville, Va., officiating. The family will receive friends at the funeral home one hour prior to the service. In lieu of flowers, the family respectfully suggests memorial donations be made to God’s Pit Crew, 2499 N. Main Street, Danville, VA 24540 (www.godspitcrew.org). Norris Funeral Services, Inc. and Crematory, West End Chapel, 511 Church Ave. Danville is serving the Cristall family. Online condolences may be made at www.norrisfuneral.com. To send flowers or a remembrance gift to the family of Jack George Cristall, please visit our Tribute Store. "Email Address" would like to share the life celebration of Jack George Cristall. Click on the "link" to go to share a favorite memory or leave a condolence message for the family.